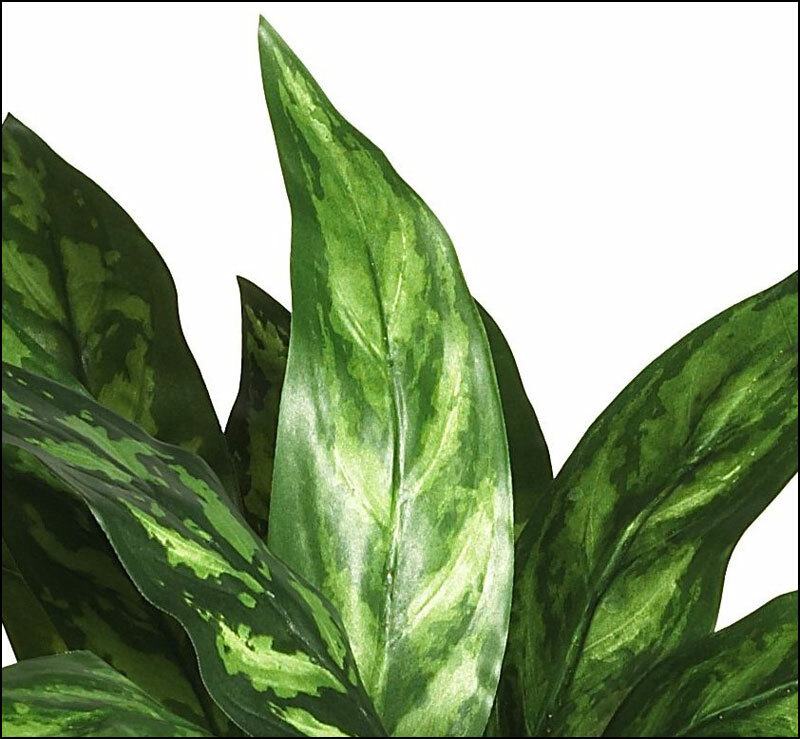 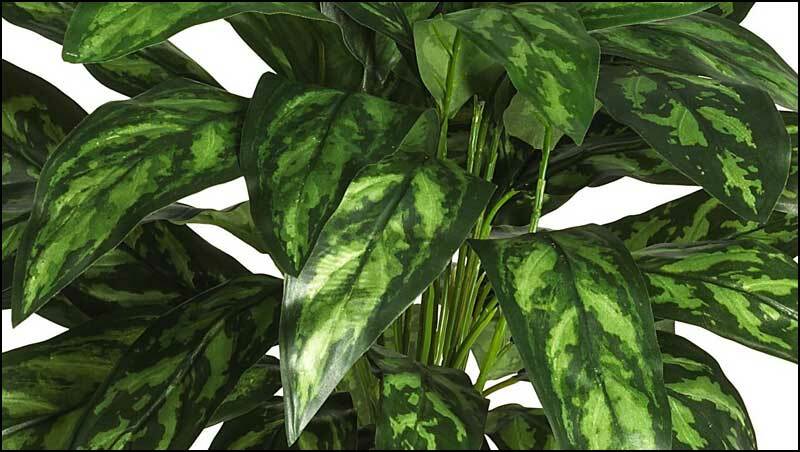 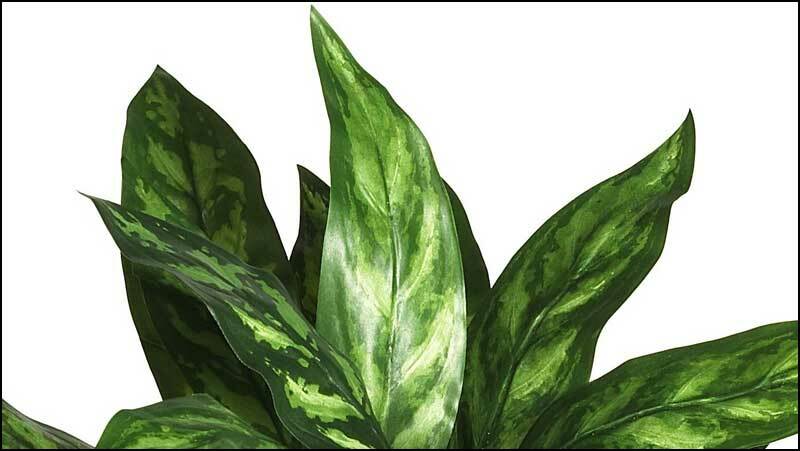 Create a regal environment in your home or office with this lovely silk Chinese Evergreen. 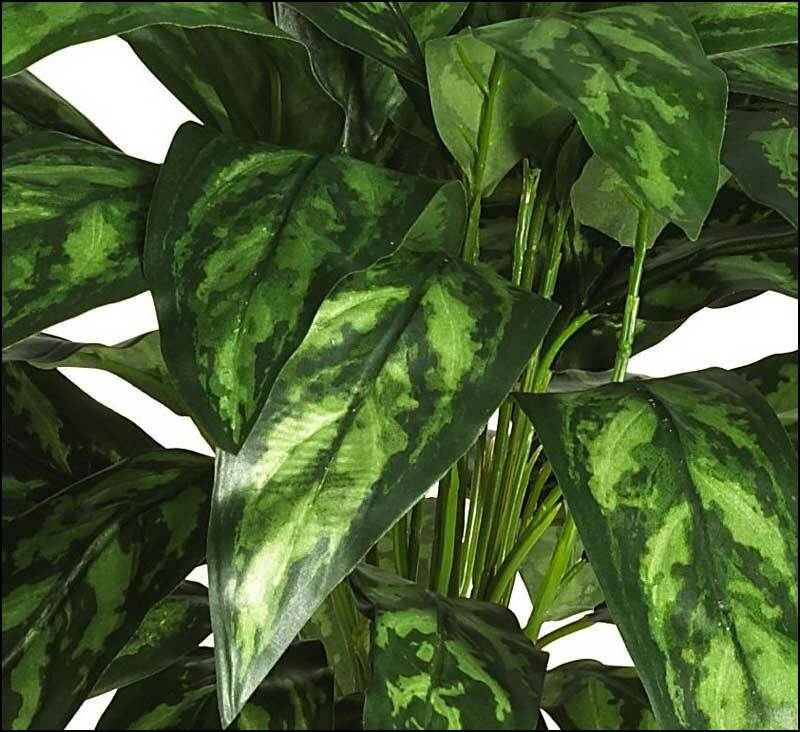 Slender stems adorned with glossy decoratively patterned leaves make this silk plant an ornamental delight. 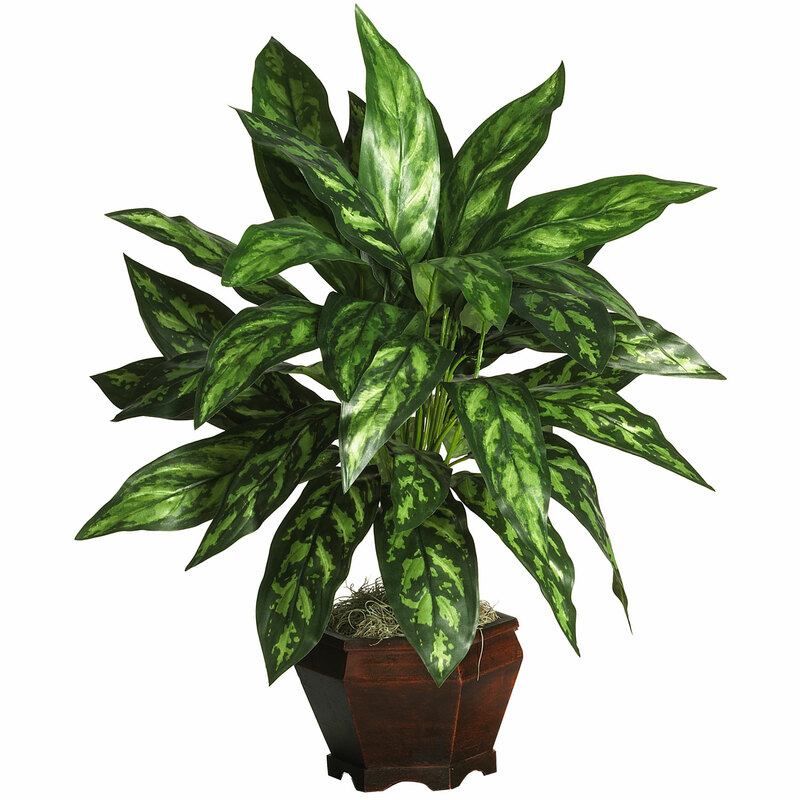 Nearly 2-1/2 feet tall, this stately work of art makes a nice centerpiece or focal point for an otherwise drab office space. 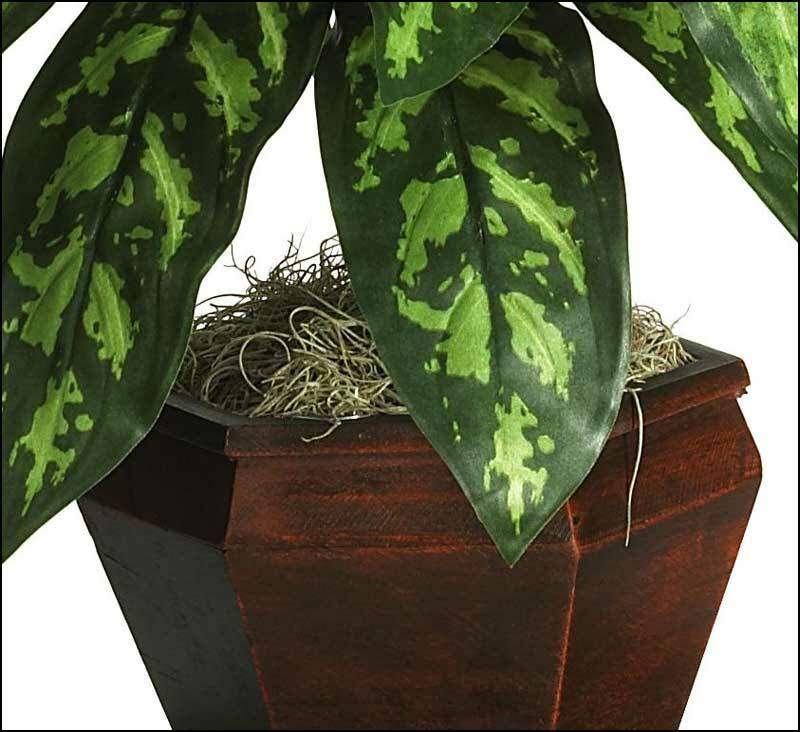 A cherry wood vase filled with moss adds a nice warm finishing touch. 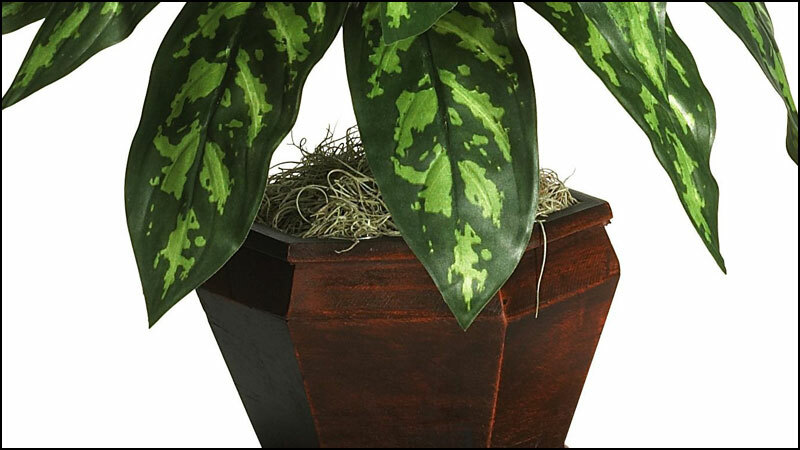 Height - 29", Width - 26"
Pot - W: 9", H: 6"